As a very durable asset, the rail network represents a long-term investment that for many years is subjected to heavy loads. Bearings from Schaeffler help to ensure that points and overhead wire tensioning pulleys, for example, operate reliably for many years. Low weight, minimal space requirements, smooth running, and reliability are all requirements for modern braking systems in rail vehicles. 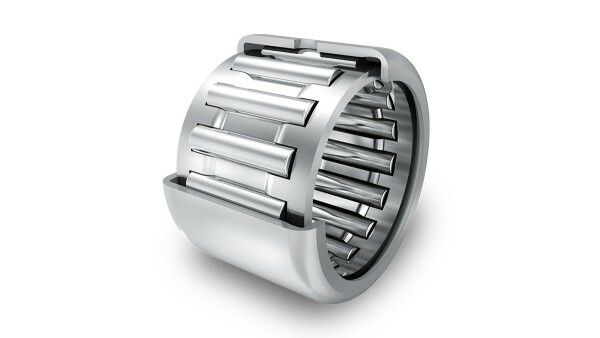 This is where the advantages of INA needle roller bearings, drawn cup needle roller bearings with closed ends, axial needle roller bearings, and drawn cup roller clutches come into their own and make advanced developments possible. INA bearings for tilting technology and stabilizing systems ensure shortened journey times and increased comfort in intercity transport. INA yoke type track rollers, cylindrical roller bearings with annular grooves, needle roller/axial cylindrical roller bearings, and maintenance-free radial spherical plain bearings are used, depending on the application in question. Schaeffler bearings for tilting technology are installed in the Swiss Intercity Tilting Train (ICN) and in Alstom's new Pendolino, for example. Different track gauges in Europe and Asia usually lead to delays for cross-border passenger and freight rail traffic. Automatic gauge adjustment facilities at border stations and adjustable-gauge wheelsets on the vehicle enable the distance between the wheels on the axle to be adjusted quickly and cost-effectively. Maintenance-free cylindrical plain bushes and INA stud-type track rollers support the complex gauge adjusting mechanisms and help to extend their maintenance intervals. They are installed, for example, in ZNTK Poznán S.A.'s SUW 2000 track gauge adjustment system. Couplings transfer the pulling force of the locomotive to the cars that are coupled to it, or connect several driven units together. Some special designs, e.g. 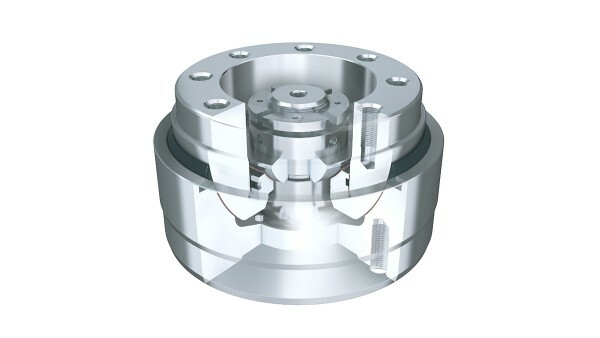 close couplings, support not only pulling forces but also pressure and weight forces. Spherical plain bearings from INA have been used in this application successfully for more than 30 years. Whereas steel-steel spherical plain bearings requiring maintenance were used in the beginning, today the high performance capacity of our ELGOGLIDE® sliding fabric increasingly enables us to supply maintenance-free versions with a very long rating life. This goes a long way towards fulfilling the vehicle operators' need for reduced maintenance costs and shorter downtimes. Current collectors and pantographs transfer the electrical energy from the fixed-mounted overhead contact lines to the vehicle's electrical consumers. They have to perform this task reliably under the most varied of operating conditions. These conditions range from speeds of over 500 km/h to operating temperatures as low as -40 °C (climatic conditions to which the components are exposed without protection). Schaeffler Group bearings allow smooth-running, space-saving, and low-friction solutions that also provide the rigidity and low clearance needed for many years of problem-free use in the field. Schaeffler bearings are used in the door systems of passenger vehicles, freight cars, and platforms. Track rollers, support rollers, and stud-type track rollers, linear ball bushings, radial spherical plain bearings, and rod ends ensure that these complex systems, which are subject to high stresses, are very reliable and have long maintenance intervals. The opening cycle of passenger car doors often involves a swiveling outward motion and a linear opening motion of the wings of the door. 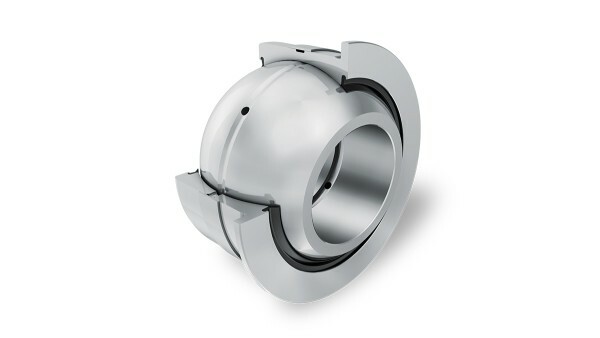 Maintenance-free INA spherical plain bearings and rod ends carry out these swiveling motions reliably. 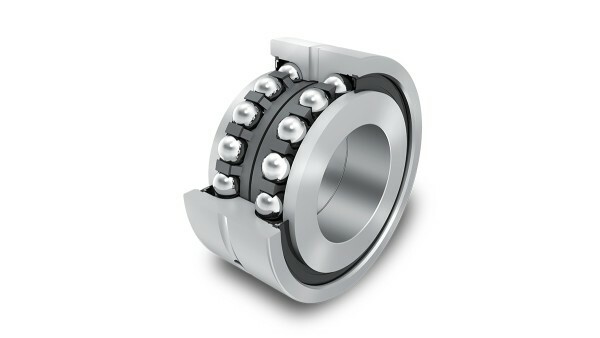 Radial insert ball bearings with flange housings are also used in some cases. Track roller and guideway systems or linear units with recirculating ball guidance systems are used for the linear motions. Track rollers have also proven themselves when it comes to providing additional torque supports that safely guide the opening motion. The operating durations are often more than 10 years. The door systems in freight cars - e.g. sliding wall wagons and self-discharging cars - are very varied. 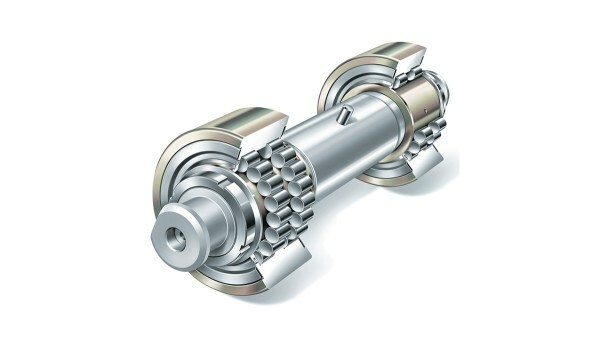 Support rollers, track rollers, needle roller bearings, and plain bearings from Schaeffler ensure the required robustness and durability, as well as a low maintenance outlay. They are used in the mechanisms of shutters and covers, and they ensure that sliding mechanisms, guidance systems, torque supports, linkages, and drive unit bearing supports function reliably. 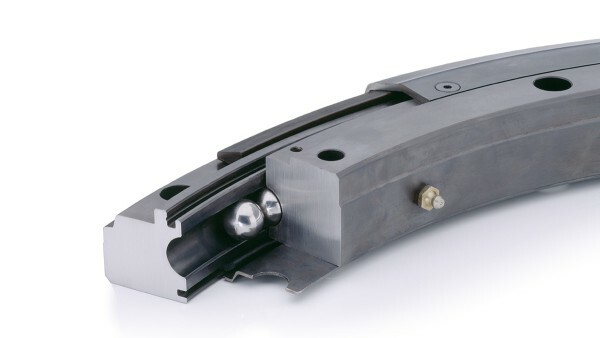 Slewing rings in four-point contact bearing design are often used to connect railcar bodies and bogies in modern streetcars and subways. 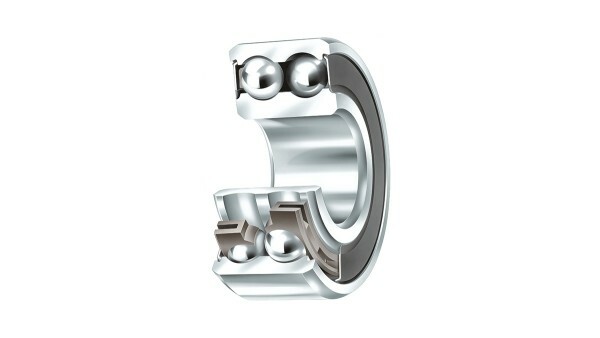 The installation points of these bearings are characterized by high contamination, long operating times, vibrations, high accident rates, and difficult access. Various special designs, such as designs with additional covers and integrated, adjustable and re-adjustable roll dampers are currently in operation. Individual vehicle bodies in many modern rail vehicles are connected by passages that enable the passengers to move freely from one car to the next. These connections are made using maintenance-free INA spherical plain bearings and rod ends, which even under extreme loads (e.g. buffer impact loads) combine high load carrying capacities with small bearing dimensions, low bearing friction, and a long operating life. INA spherical plain bearings also provide increased comfort - for example in Combino low-floor articulated railcars from Siemens. The upper center joints connect the railcar bodies in the roof. 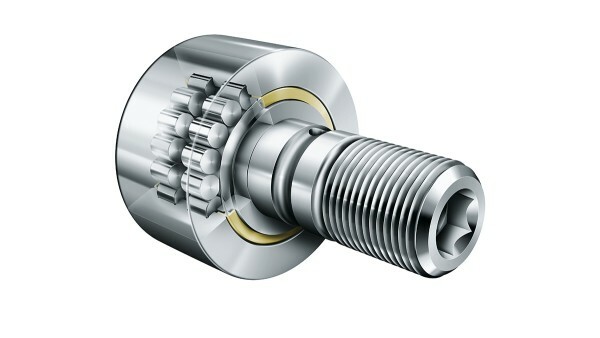 The maintenance-free radial spherical plain bearings and rod ends allow the required turning and tilting motions and longitudinal tilts when cornering and traveling uphill and downhill. The lower center joints connect the vehicle bodies in the floor area of the vehicle. 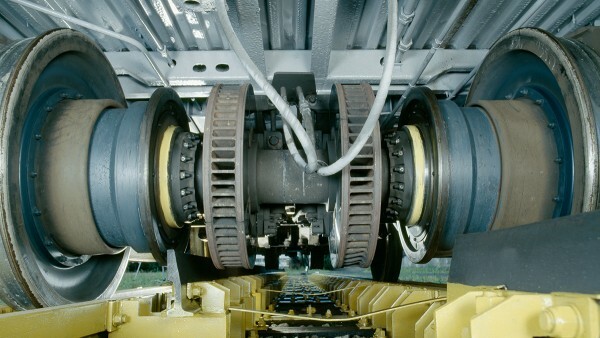 Angular contact spherical plain bearings and axial spherical plain bearings allow the required turning and tilting motions and longitudinal tilts when cornering and traveling uphill and downhill and the horizontal position of the track beds; the bearings also transfer all acceleration forces between the vehicle bodies. In low-floor vehicles where no bogie is used, they also support the weight of the overlying railcar body.